Scotland’s ‘first’ 100% organic single malt Scotch whisky distillery has opened on a remote farm estate in the Highlands. Ncn’ean distillery (pronounced Nook-knee-anne), began producing spirit in March, but will start welcoming visitors to the distillery from July. Its name is an abbreviation of Neachneohain, a witch-queen in Scots Gaelic folklore who was also referred to as ‘Queen of the Spirits’. 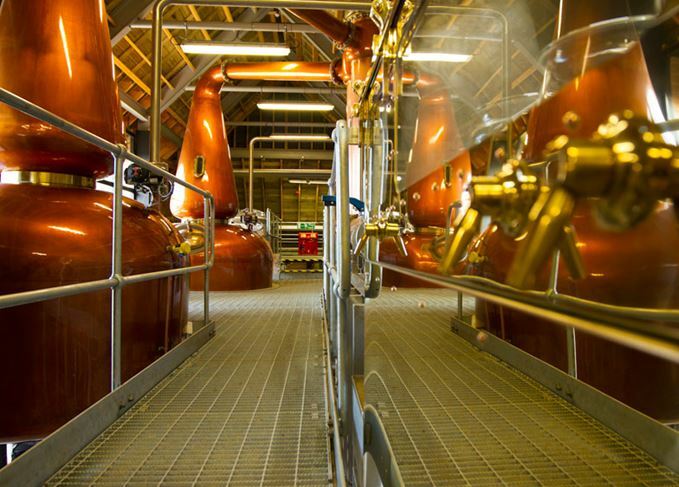 Situated in renovated farm buildings on the remote, historic Drimnin Estate near Oban and Fort William, Ncn’ean – formerly known under its working title of Drimnin distillery – will produce just under 100,000 litres of pure alcohol each year. Ncn’ean is thought to be the first fully organic Scottish distillery, sourcing only organic barley and local spring water to make its single malt spirit. It is also one of the greenest distilleries in the country, sourcing all its energy from renewable sources and recycling by-products from the process as cattle feed on the estate’s farm. The style of single malt whisky produced at Ncn’ean will be light and fruity, with maturation taking place predominantly in ex-Bourbon and red wine casks. Some experimentation will also take place using alternative yeast strains and temperature regulators in its on-site dunnage warehouses – methods developed for the distillery in collaboration with the late whisky consultant Dr Jim Swan, whose other projects included Kilchoman and the soon-to-open Lindores Abbey. 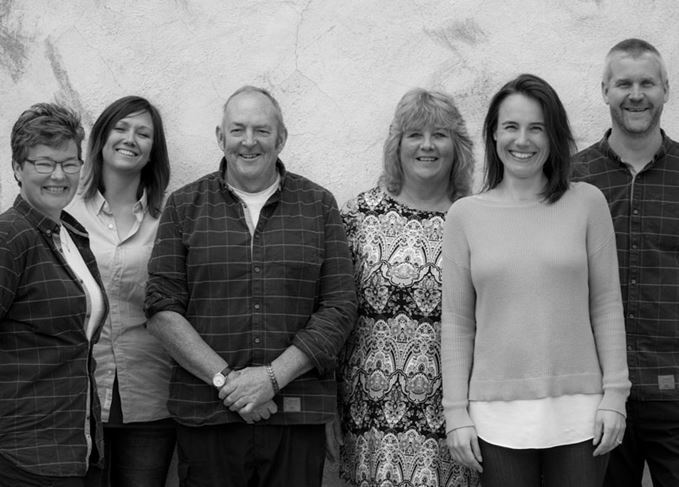 The distillery is the brainchild of Annabel Thomas, whose parents Derek and Louise Lewis bought Drimnin Estate in 2002. Thomas, a former strategy consultant in the City of London, was considering her future over a cocktail in 2012 when the idea to build Ncn’ean at her family’s estate came to her. She said: ‘I always loved Scotch and I felt we had something new to bring to the conversation, but there was also a local drive to what we wanted to do. Ncn’ean has employed a team of three distillers, lead by distillery manager Gordon Wood, formerly at nearby Oban distillery. Joining him are distillers Lorna Davidson and Reay Whyte. Dr Swan had acted as consultant master distiller on the project before his death in March this year. Dr Swan worked with Thomas and the Ncn’ean team, which includes managing director Benet Slay, formerly head of Carlsberg UK, to design the distillery and its spirit. ‘There are a couple of things which we are really passionate about,’ Thomas said. ‘One is the environment, and doing things right by nature. We also want to play around with how we make the whisky. ‘We’re going for a relatively young, light style of spirit as a basis, but we have a number of ideas up our sleeve, some of which will be within the realms of Scotch as defined by the SWA, and others will be outside it. Ncn’ean expects to release its first single malt whisky in 2020, when the spirit is three years old. In the meantime, the distillery is offering the opportunity to purchase one of its first barrels at £3,000 for an ex-Bourbon cask, and £3,900 for an ex-wine cask. 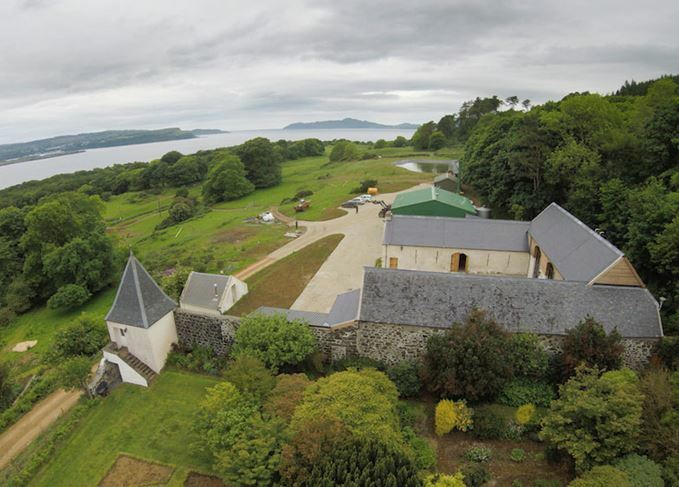 The distillery will welcome visitors on a pre-booked basis Monday to Friday, and hopes to establish a multi-distillery tour in collaboration with nearby Tobermory, Oban and Ardnamurchan distilleries. For further information on the distillery set-up, its spirit character and contact details, visit Ncn’ean’s distillery profile in our Whiskypedia section.